Today: Anxious to bake with your rock hard cookie dough? Here's how to speed up the thawing process. 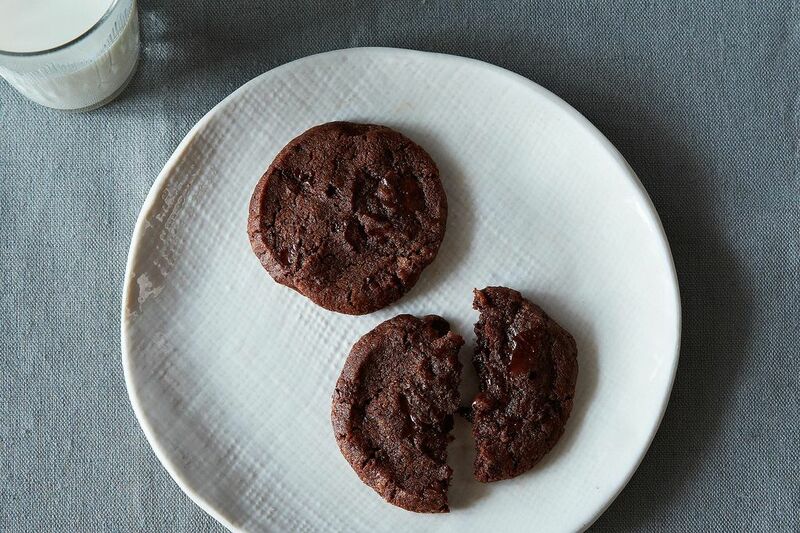 Oftentimes when baking cookies we're on a tight timeline -- we want to get our cookies in the oven five minutes ago: either we're hungry (and attempting to be responsible by avoiding eating the raw dough), or we have to run off with baked cookies in hand. Many cookie recipes call for long refrigeration times, but a finicky dough or a little extra chilling time can result in dough that's as hard as a rock, and nearly impossible to work with. Merrill recommends putting dough near a warm stove, and pounding it with a rolling pin once it starts to soften. Trena cuts the dough into smaller pieces using a pastry cutter, figuring that they will come to room temperature faster. A radiator or stove pilot light will also work well as a heat source, according to LE BEC FIN. Mandy ultimately went the route of not refrigerating the dough at all, as cdachis says you can get away with -- for this recipe at least. With an unfamiliar recipe, try baking just one cookie to see how skipping refrigeration will impact the end result. How do you speed up thawing cookie dough? Tell us in the comments! Lactose intolerant cheese lover, who will walk blocks for a good cup of coffee. Recently escaped the corporate world, after discovering her favorite part of the job was ordering catering. I roll out dough right after I make it, then refrigerate it. Once it is cooled, I cut it into shapes and bake. IF you don't refrigerate the dough, your shapes won't keep a nice sharp edge. i like to bake directly from frozen--here is my favorite new recipe from moo milk bar in toronto. i keep a bag of these frozen at all times in case of emergency. Same trick I would use to make bread rise: turn on the oven to 350 degrees, cover the dough with a towel, and place near the exhaust. You'll want to rotate every so often! Chop the dough into chunks and knead between your hands, briefly. The warmth of your hands will soften the dough. Feel free to lick your fingers.